It remains frustratingly difficult to convey what is good or interesting about new VR games, especially to anyone who hasn't already played games while wearing virtual reality goggles. New VR games come out weekly, many of them not so great. Sometimes, though, we find a game with a spark of promise we need to tell you about. 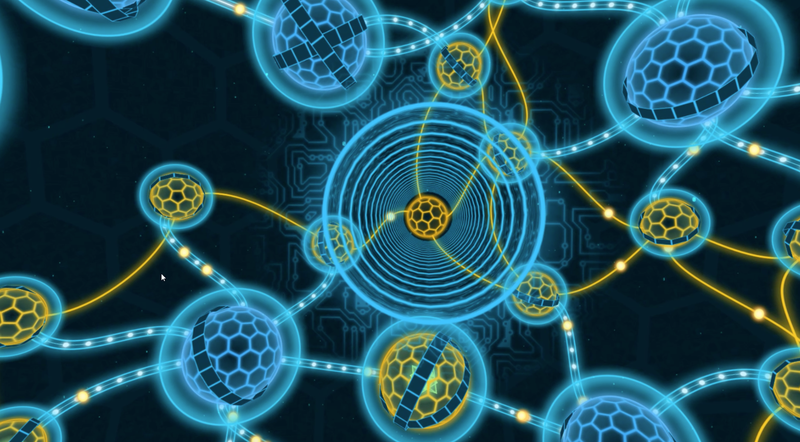 Take the marvellous game Darknet, which actually came out for the Oculus Rift back in March. I just discovered it this weekend. It's a puzzle game about hacking that, like many VR games, would be far less remarkable if it weren't in VR. When you start playing Darknet, you see a vast web of hackable spheres, each protected by varying levels of security. You pick one to hack, zoom into it and will find a large hexagonal grid that you must strategically plant viruses into, corrupting the the core. Then you zoom out and see how that hack affects the rest of the web, gradually turning more of the web in your favour. What's special about the game in VR is that its hackable web surrounds you. You don't feel like you are playing this game on a framed TV screen or monitor in your house. You feel — you see — the game's playing field, as if you are a floating eye inside of it. The visual metaphor is that you're floating in cyberspace, inside a computer. It's all around you, everywhere you turn and tilt your head to see. The best we can show you what I'm describing is with some direct feed capture from my PC. Here is a minute of captured footage mapped to my gaze. I look down and up and around, admiring the game board around me. Then I zoom in to play a wall-sized challenge. I suspect this footage will look plain to you. It will look underwhelming or a little nauseating. It's like showing you a postcard of the sky instead of having you stand under the starry night yourself. Or maybe you will be able to imagine it. Look at it. Close your eyes, look down and up and around and imagine you are seeing the game board around you. I've had an Oculus Rift and the rival Valve-backed HTC Vive headsets for several neglectful months. As amazing as it is to play games that surround you and as crazy as I am about playing video games in general, I don't use either of my VR headsets very often. Two reasons: difficulty of use and lack of compelling games. The former may improve with future hardware iterations but will be overcome sooner the more we get VR games that can be called amazing without needing the caveat "for a VR game." The headsets' difficulty of use will affect people differently. The best Vive experiences involve tech that tracks your movement in a rectangular space about the size of a parking spot. My Brooklyn apartment is small and has no room for a dedicated VR gaming area, so I have to slide the living room couch back and set the Vive's sensors back up any time I want to play a Room-scale VR game. I have to break it back down every time I'm done playing, which keeps me from regularly dipping back into even my favourite Vive project to date, the Early Access, constantly updated first-person real-time strategy game Cosmic Trip. Seated VR experiences require less room and should fit into my life better. They're less thrilling but easier to commit to, especially on the Rift. Oculus' machine is particularly easy to just plug in and play. Its interface boots up as soon as you plug in the headset and pick it up. Even that has its weird discomforts. 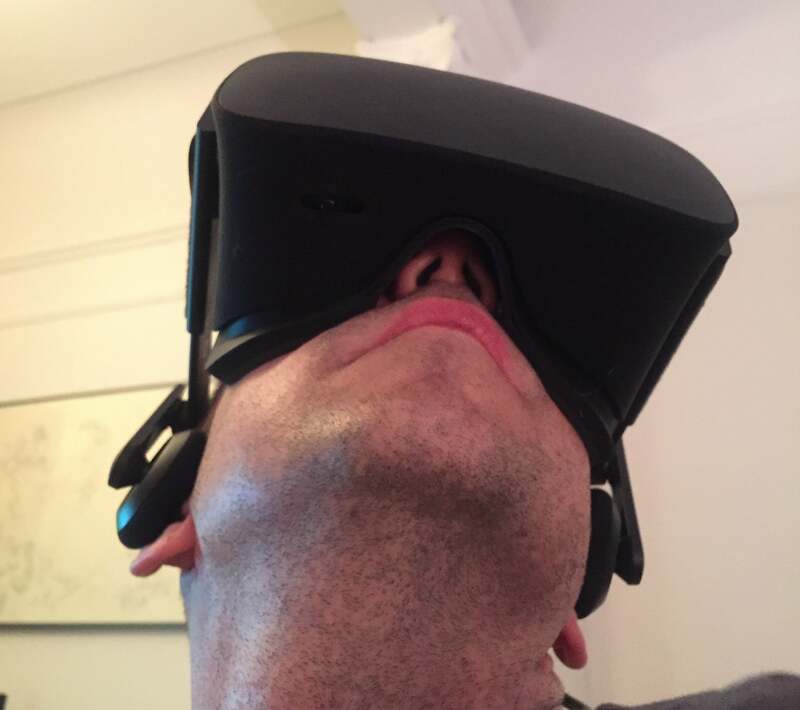 I first used my VR headsets in the spring, noticed that the headset warmed my face but didn't pay it much mind. Contrast that to playing it in the hot summer, even with AC on. It gets uncomfortable more quickly. Perhaps I'll be playing more VR in the winter. 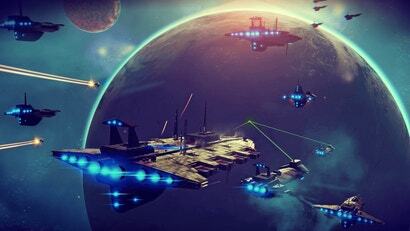 Some of the games coming to VR just don't seem to need it or benefit much from it. 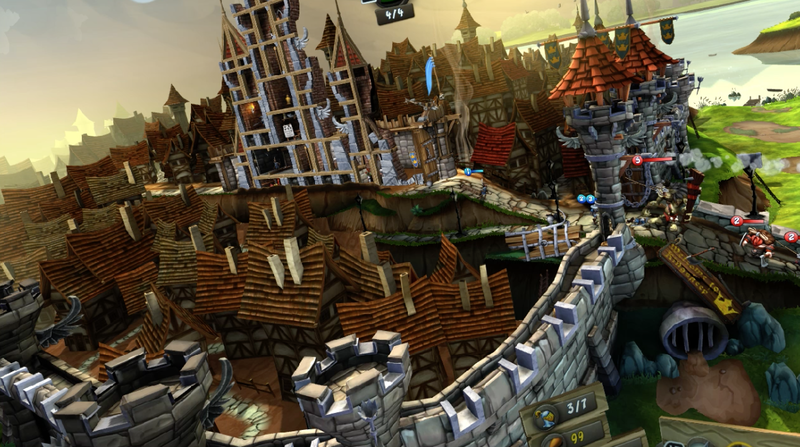 The tower-defence game CastleStorm has a new VR version. It adds some visual depth to a game that is still played in 2D. Arguably it looks cooler to see it in VR, though the most interesting part about it in virtual reality is the feeling of sitting in a virtual theatre when it begins. The game's menus are rendered as if projected on a 2D movie screen, but you're in a seat with a bucket of popcorn to your right. 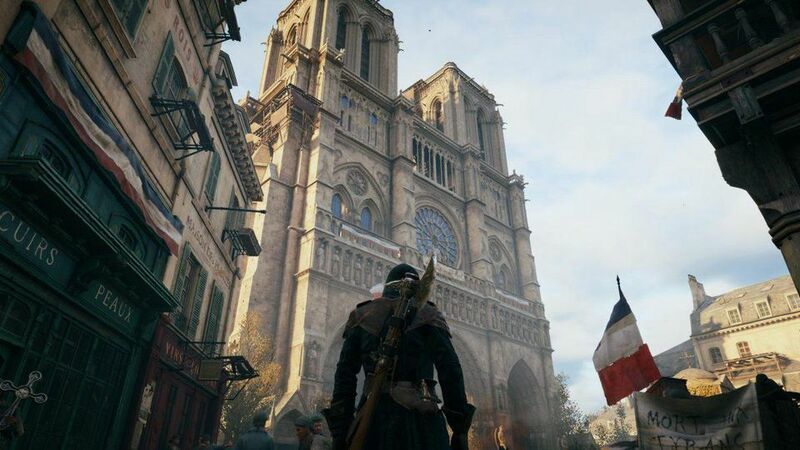 Again, it helps if you see it in actual VR and, of course, it doesn't add anything great to the game. If there's something that VR games seem to be getting good at really quickly it's presenting impressive title screens and lobbies. Here's a brief bit from the beginning of this week's big new Rift release, the sci-fi shooter Damaged Core. It may look like nothing to you, but for players wearing a RIft, it looks like you're standing not in your living room but in a vast field with a space trooper to your left and the game's logo flying in overhead. It's impressive. Damaged Core is actually a pretty cool game .... for a VR game. It's developed by shooter studio High Voltage, best known, I think, for their Wii shooter The Conduit. Their Rift debut has a contrived conceit, as many VR games do, that seems primarily designed to explain the exclusion of gaming tropes that when rendered into VR might make you throw up. Movement in a lot of these games, if programmed poorly, can make the player queasy. Your inner ear gets confused and suddenly what you think is just going to be a turn of your head to see what's next to you as your character runs forward instead is triggering a wave of nausea. Well, in Damaged Core, no need to worry about that. Good news! No matter which VR games you play, you'll at least look like the coolest person in the world. This is a game in which you are a consciousness that teleports into enemy robots on a battlefield, hopping from one bot to the next as you seize control of the enemy, possess more and more impressive enemy brutes and flying drones and the the like. The nausea-removing catch is that the enemy tech will resist you and (of course!) immediately disables the ability of the enemy bots you possess to move from where they are standing or floating. Get it? They eliminate character movement other than swivel-aiming and as a result you never feel ill. Instead, you can enjoy a game that borrows the under-used mechanic of warping from body to body during a battle seen in games such as Geist, Battalion Wars, and Battlefield 2: Modern Combat. Giant enemy bruiser walks onto the battlefield in Damaged Core? Turn the attention of the little foot-soldier bot that you're controlling to that bruiser, shoot down his shields, possess him and then, now seeing the battle through his eyes, lay waste to the other enemy robots. Each enemy robot you possess eventually shuts down completely, so you have to keep hopping from one enemy to the next. It's a good idea. It's fun. It works terrifically in VR as you feel the change of height and scale as you warp from bot to bot. VR gaming has a long way to go, but there are some bright spots. Next up: we'll see what the launch of PlayStation VR accomplishes in October. ...which actually came out for the Oculus Rift back in March. Still seeing statements like this saddens me. There shouldn't be a headset name there, just "VR headsets". It's also disappointing that they're still primarily thought of as a gaming device. I was hoping by now you'd have people talking about how they've been watching movies on a cinema screen while they look at a life-size representation of the bookshelf they want to buy. All while getting a virtual tour of that little Italian town they're planning to holiday in next year. Right now the Vive and Rift focus on very different experiences, one being roomscale and one not, so the separation is to be expected in the early days. Once the Oculus Touch controllers come out, that'll blur the line a bit better. Bit of an ambitious timeframe. It'll happen, but it'll take a while to get to that point - people are still working on just figuring out how best to create content for it and what actually works or doesn't. I'm supposed to have a free Samsung Gear VR headset coming my way as a result of buying a new phone a couple of months ago. Is there anything worthwhile I should try on that? Not in the same league as Oculus, PSVR, etc, I know, but I'm planning on using it as trial to decide if VR is something I'm interested in actually spending any serious money on. There are some cool free VR trailers like the Avengers and Jurassic World, but being trailers, they're very short. There's a game by the people who made Monument Valley which is worth its couple of dollars. I can't remember much else out there for the Samsung, when I tried it in April. They've got the above-mentioned Darknet and Castle Storm on there. I've heard good things about Esper and/or its sequel (which I picked up in the sale the other week, but haven't played yet). There's also Proton Pulse which I quite enjoyed back on the DK1, it looks like they've got a free demo of that available. Actually there's a fair few free demos from the looks of things. There aren't too many other names that jump out from the list as things I've seen mentioned much, although there's Herobound which I think was supposed to be good, a precursor to Chronos on the Rift which has been quite well-received. I assume you need a controller for this stuff? Will a PS3 controller work? Or does it need to be a generic bluetooth controller? I got the same HeadSet (arrived a week or 2 ago) Set up with the oculus App. I've been impressed with it so far - It's just myself included everyone I know I've gotten to try it cant stand having the device on for more then 5-10 minutes at a time without feeling like its doing permanent damage to your eyes (and mind). I would love some real life feedback on long term use before I spend ANY money on Apps. I got the free gear vr with my s7 edge took over 60 days to get. -samsung vr (milk vr replacement) watch movies and shows while lying down with a cinema sized screen to look at. -gear vr with 2k s7 screen is higher res than oculus and vive so use it in mean time to wait for 2nd gen devices. Upvote for name-dropping Geist and Battalion Wars.